Maintaining smoke detectors and carbon monoxide detectors in the home is essential at all times, even if the task of replacing batteries and checking the detectors seems menial and monotonous. With busy lives and schedules, it can be easy to forget to check on our detectors over time. It is essential to mark your calendar and track whenever a replacement or inspection is needed. Knowing the best tips to keep your home safe from carbon monoxide poisoning and the risk of fires is a way to drastically reduce the risk of accidents. Oftentimes, homeowners underestimate the importance of maintaining and checking on carbon monoxide and smoke detectors. This oversight can lead to deadly accidents in your home. Using essential tips for both types of detectors is ultimately the best way to keep your family safe at all times. 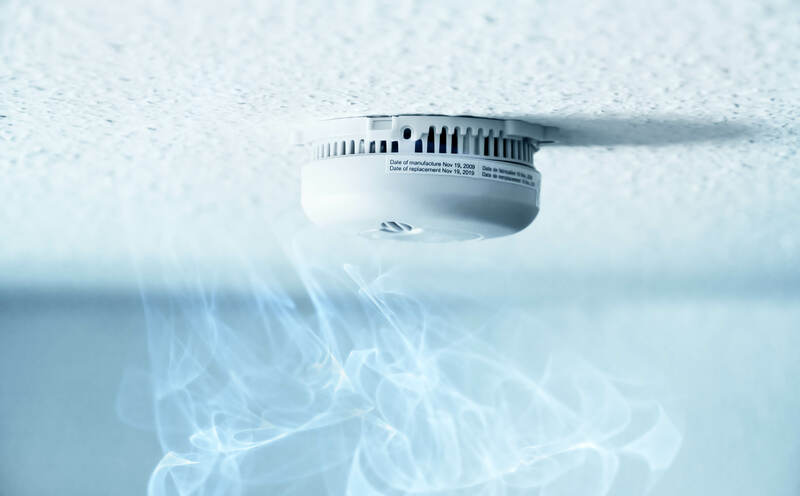 Replace all smoke and CO detectors in your home every 10 years is a way to ensure the detectors are up to date with technology and any new safety requirements and standards in place. Read and store manuals for the smoke and CO detectors to understand how they work, warning signs that batteries require replacements, and what to do if the detector begins to malfunction. Hire a professional to inspect all of the smoke and CO detectors in your home if you are unsure of whether they are working properly and want to verify all of the features are up to today’s standards. Every 5 to 7 years it is advisable to replace carbon monoxide detectors in the home to avoid malfunctions. When purchasing and installing a new carbon monoxide detector, look for an option that features an “end of life” sensor. This gives you a warning ahead of time when you are in need of a replacement or inspection. Whenever possible, use lithium-ion batteries for smoke and CO detectors. They have a longer lifespan than traditional batteries that are often used. Install a carbon monoxide detector that includes an electrochemical sensor, giving you and your family peace of mind while avoiding carbon monoxide leaks and poisoning. Ensure that any alarm you choose to have in your home is either CSA or UL listed for the most protection possible. Do not use a barbeque inside your garage or bring a charcoal grill inside of the home- even if you have a large open space. Do not use a gas oven for any other purposes other than cooking, such as heating the home. If you have a power generator, never place it inside of the home. Instead, be sure to use a generator only in open outdoor spaces. Homeowners are often not aware of the potential risks of avoiding smoke and CO detector maintenance. Although it is easy to overlook, it can lead to inescapable fires or carbon monoxide leaks that go undetected. You run the risk of an increased chance of carbon monoxide exposure, which is not detectable by smell or sight–often leading to severe health issues and in some cases, death. Unexpected detector malfunctions are common for homeowners or occupants who avoid changing the batteries of smoke and carbon monoxide detectors regularly. When you do not have proper running smoke detectors in the home you run the increased risk of experience a fire in the home. Residential fires can quickly spread if not tended to immediately, which also poses a threat to surrounding homes in your neighborhood. If you experience a carbon monoxide leak in the home or if you have a fire due to poor detectors or not maintaining them there is a chance your properly value may drop if you are looking to rent or sell the location in the future. Understanding the risks and threats that unmonitored carbon monoxide and smoke detectors pose is a way to remind yourself and your household when it is time to change batteries, inspect the detectors, or replace them altogether. Call Ryan Gath Electric today for smoke and CO detector assistance!